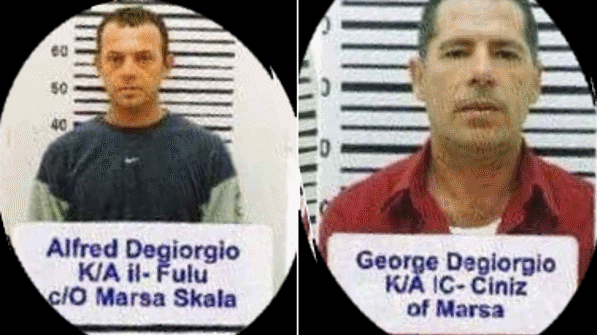 Two of the alleged murderers of Daphne Caruana Galizia have been granted bail in money laundering proceedings but they will still remain behind bars, having been repeatedly denied bail in the murder case. Mr Justice Giovanni Grixti observed that the bail application filed by the co-accused brothers George and Alfred Degiorgio on March 29 merited being upheld since all the prosecution witnesses had testified in the compilation proceedings still ongoing before the Magistrates’ Court. Mr Justice Grixti said the Attorney General’s preoccupation as to the untrustworthiness of the accused needed to be supported by a degree of evidence, even to a minimum degree. George Degiorgio’s partner, Anca Adelina Pop, had been granted bail in the same proceedings in July. The two Degiorgio brothers and Ms Pop had all allegedly lived a lavish lifestyle, owning cars and pleasure boats, while claiming to be unemployed, the court has heard. The investigation into Ms Caruana Galizia’s murder, involving scrutiny of the accused's banking transactions and the money they had, had sparked off the suspicions of their involvement in money laundering activities. The Degiorgio brothers were granted bail by the magistrates' court in October but that was revoked by the Criminal Court, presided over by Madam Justice Edwina Grima, in November. Following a fresh request for bail, the criminal court said the aim of preventive arrest had been exhausted, pointing out that the granting of bail was to rest upon the balancing of the rights of society in general against those of the persons being held under preventive arrest. In the light of such considerations, the court concluded that the accused no longer needed to be held in custody, thereby granting them bail against a deposit of €35,000 each, a personal guarantee of €35,000 each, as well as a duty to sign the bail book twice daily. The court further imposed upon each of the brothers a curfew between 10pm and 7am and an order not to step aboard any sea or aircraft.